MLB | "A Place for Learning"
We started the 2nd week of Art Camp studying Edouard Manet and painting his Yellow Rose. These kids did a GREAT job with this one. First we created our own color wheels and talked about color mixing and that allowed us to get a good idea of how to make our paintings look like Manet’s. Today we study Monet. 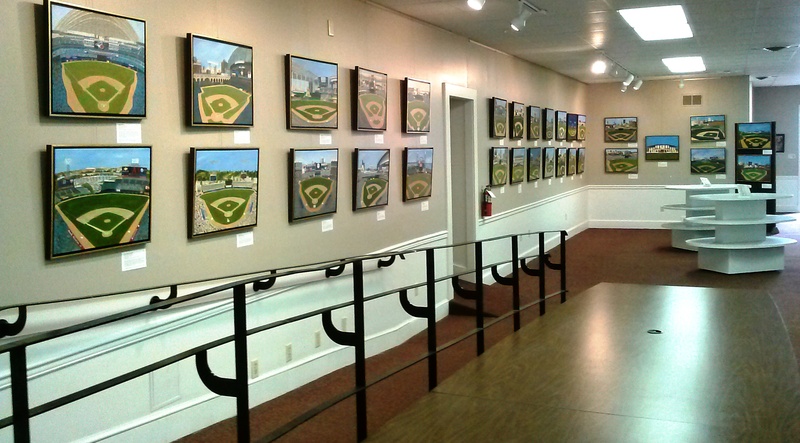 Painted Diamonds – Paintings of the MLB Parks are on display at the Warren County Community Center at 538 Villa Avenue. It is open Monday through Saturday 8:00 a.m. to 10:00 p.m. and Sunday 1:00 p.m. – 9:00 p.m.
You can read more about the “Painted Diamonds” project here. 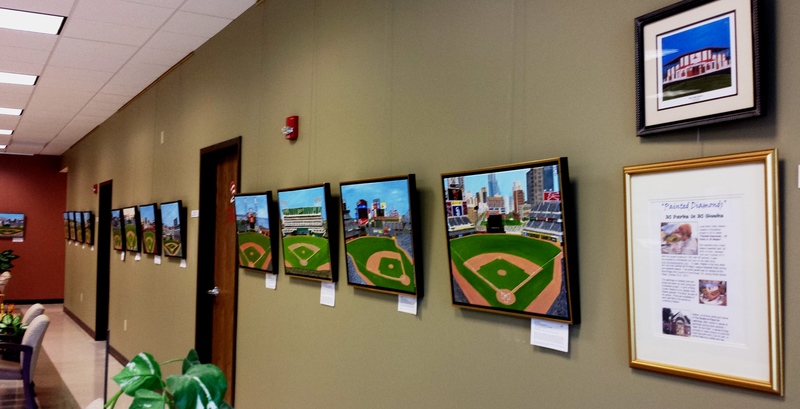 Today is the opening day of the 2013 World Series and the opening day of the Painted Diamonds Art Exhibit. 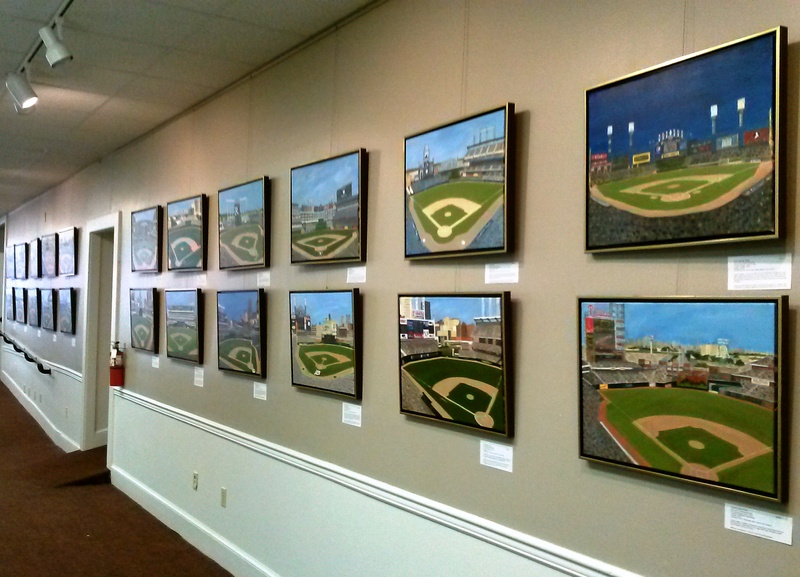 We hung the show yesterday at the Blue Ridge Arts Council in Front Royal and it looks great! It was a little strange to see six months of hard work all hanging together there. I still can’t believe it’s a reality. 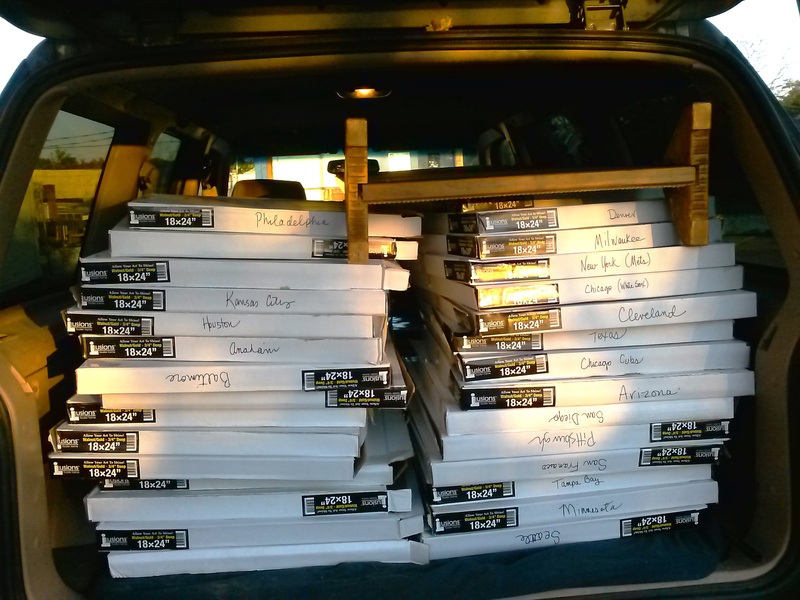 Many thanks again to all the Kickstarter backers who made it happen. Your names are listed here on my blog and on the Kickstarter page. You made this happen. My appreciation to each of you for your belief in this project. The Opening Reception is tonight from 6-8 p,m. 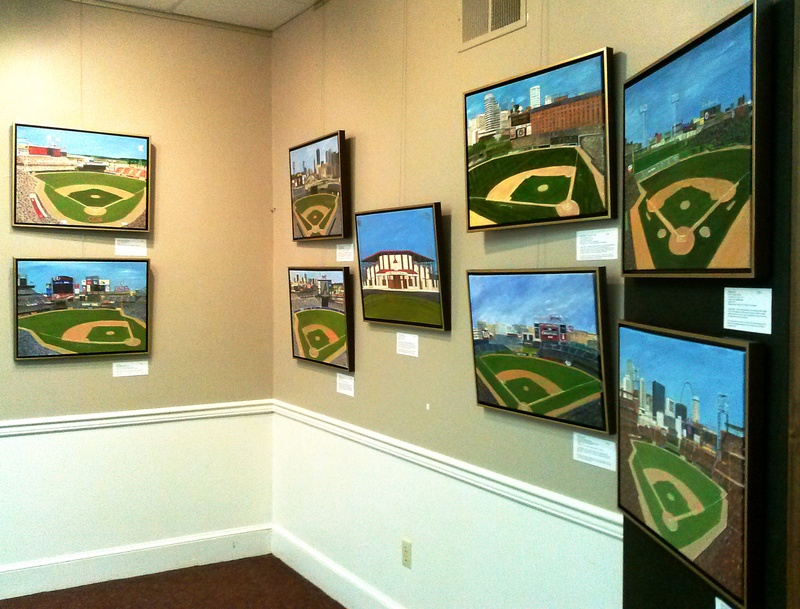 Stop down at the Arts Council at 305 E. Main Street in Front Royal to see the exhibit and have some ball park food. 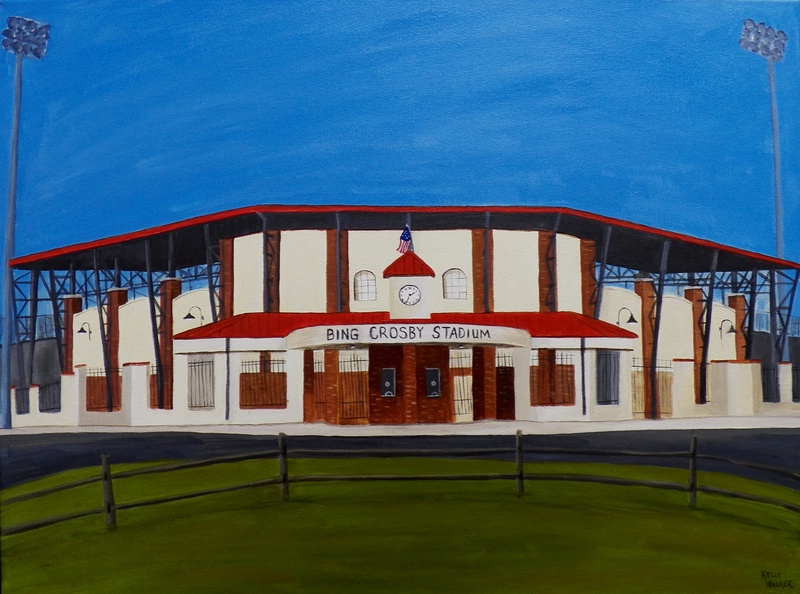 Have a hot dog or maybe some cracker jacks and say hello. Hope to see you there. 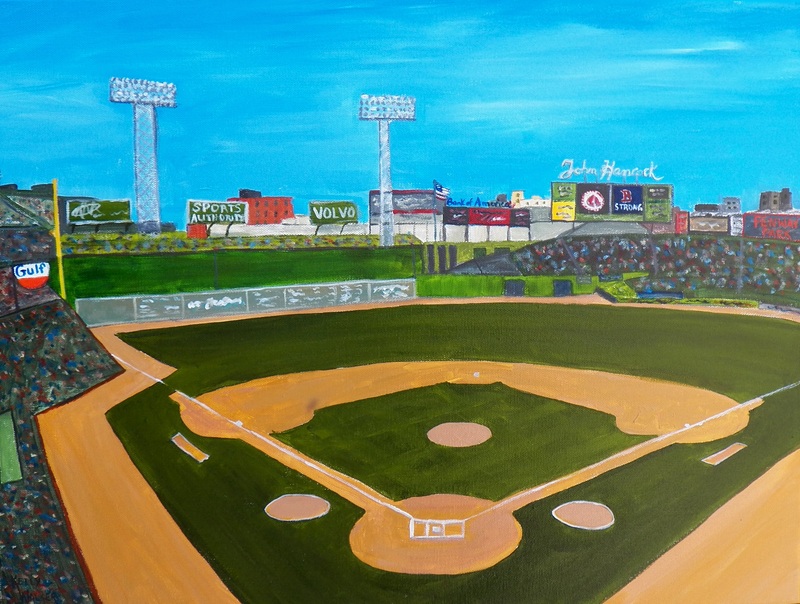 I finished the last ball park painting in the series of 30 last night about 10 pm while watching a great ball game on TV. This wrapped up a 6 month project and I have to say I felt relief to get it done. Now to prepare for the exhibit and the opening reception on October 23rd from 6-8 pm at the Blue Ridge Arts Council. Please plan to attend and see all the paintings. 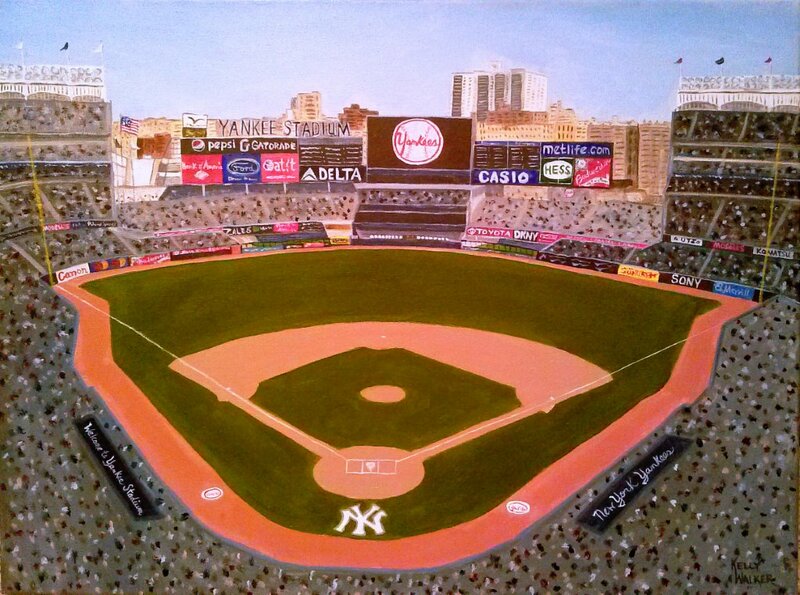 This is the final MLB painting in the series: Yankee Stadium – home of the New York Yankees, winner of 27 World Series. 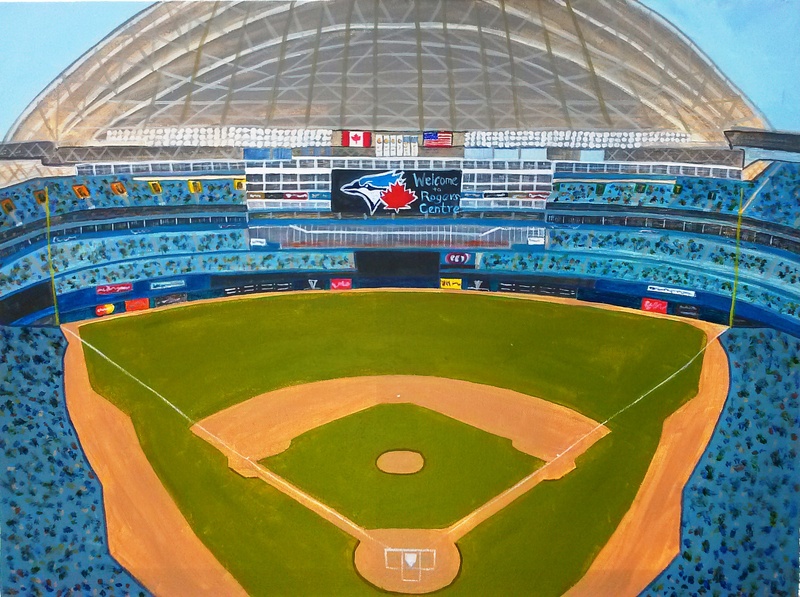 Rogers Centre is home of the Toronto Blue Jays. It features the first retractable roof over a baseball stadium. It is the 29th of 30 paintings in the Painted Diamond series.